AIPP Victorian Epson Professional Photography Awards 2015. I received my Print Awards folders back with all the bling! and Human in this years haul! 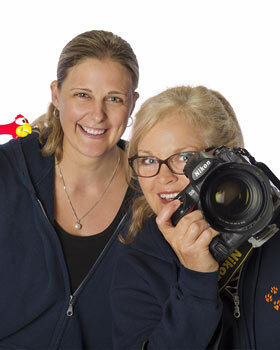 Our Book, 12 months of energy, long days, late nights editing, awesome photo shoots and so many wonderful Pets and their People rolled into one PAWsome book!! FINALIST in the VIC Professional Photography Awards!!! Top 3……yey!!! Ollie keeping an eye on us! Ollie wanted to join in the fun!…… soon after he did have his turn in the limelight…. but this is one of my all time favourites those big chocolate paws and soulful eye. he also just happened to have the fabulous old truck nearby…. so glad he obliged for the photo! the oldest sister knew we had the feathered head dresses and was desperate to wear them! Right at the end we took this photo and it is a magnificent large Canvas on their wall. The memory of the day makes me smile. “Aura” – One of the sweetest dogs ever! “Aura” is Tracy’s housemates dog, and one of the sweetest dogs ever! What’s not to love about that gorgeous ball of white fluff! just at the end as we were walking back to the cars these clouds came over….awesome! not to mention her proud stance and “I’m keeping an eye on you look”! incorporating some history of her life as well as a recent portrait. her wonderful hands that have touched so many lives in a beautiful way over the years. It is beautifully framed in my clients library and Grandma has her own copy to enjoy. Butter wouldn’t even melt in my mouth! the portrait is so life-like, such a beautiful puppy!! He has grown quite a bit since we took this!! We were photographing Dudley for our Best Friends, Pets and their People book, Dudley is an Assistance dog. On lead he was on duty, off lead he bounded around like a puppy, playful and energetic for his 11 years. I didn’t even realise I had taken this image until later, it stopped my heart when I saw it……it sums up Dudley, no matter what he is doing, that look of intensity, alertness, responsibility and loyal readiness to be by his owners side is written all over his handsome face. Untitled for Now … Watch this space! This one is a secret…”out of the Frying Pan and into the Fire” is all I will say for now! LOVE it!! Wow, what a fantastic result! Can’t wait to see what National awards will bring. We loved meeting all of you in 2014! and we will see you all again next year! Today we are very excited to share with you a “Best Friends” session we photographed recently. 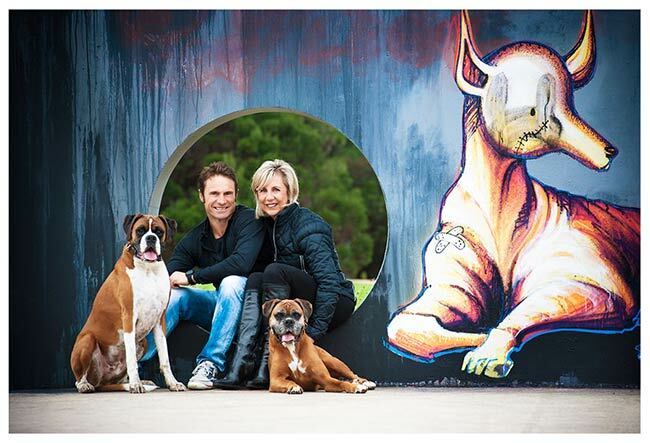 A gorgeous couple, Sharon and Simon and their two Boxer dogs, the extraordinarily handsome – Benson and adorably sweet – Roxie. We met at a local park, built over what used to be the Northcote tip approx. 12 years ago and is now known as “All Nations Park” in Northcote, Melbourne. That tip obviously nourished the foundations of this beautiful Park as it is a peaceful, green, leafy and beautifully designed oasis in the midst of suburbia…..without any remnants, not even a hint of tip aroma! We were very lucky with the weather on the day, as the rain held off and the cloud cover made it perfect for a photo session. So that you have a great overview of what is captured and created throughout a Pet Photography session with the Lifeworks Team, Julie and Tracy, we are going to share with you a full Album layout we designed for this couple and a stunning large canvas they loved for their home. The photography session usually takes 1- 1.5 hrs, some a little less, some a little more…….it’s always fun and every session is different! We personally design the albums to suit your family imagery taken on the day. Purchasing an Album of the session is a great way to re-visit the moments captured and continue to treasure what your Pets mean to you as well as a lovely piece of wall art to enjoy at all times. Here is a quick pic we took just before the couple picked up. We love seeing and hearing how much they adore the finish portraits!!! 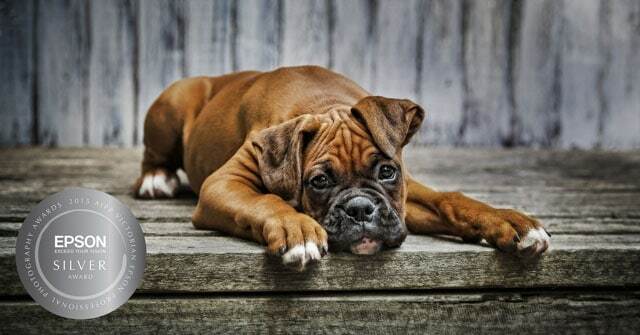 Tracy grew up with her family breeding Boxer Dogs, so they do hold a special place in her heart – even with the constant drool! And yes, she was “slimed” on the day! 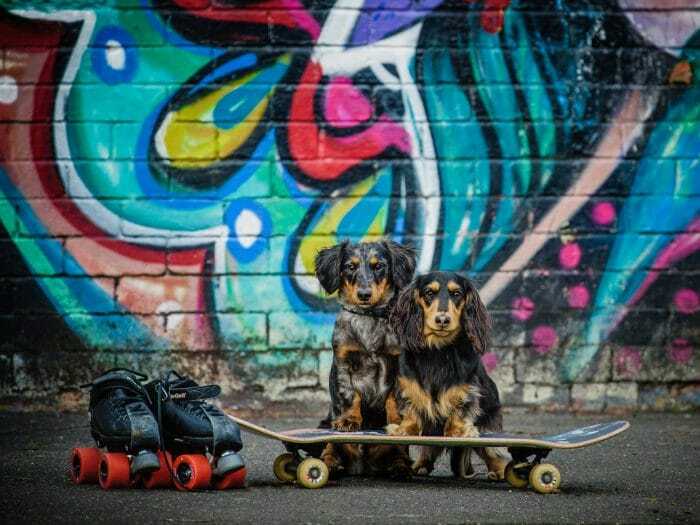 At Lifeworks photography we love all animals and with our current “Best Friend” – Book project, we are meeting heaps of amazing people and so many different types of pets. We have found many of our clients support Pet/Animal Rescue organisations such as New Beginnings Animal Rescue Inc. & Lost Dogs Home, to name only a few. The joy and love these pets provide their humans is overwhelmingly apparent. Our wish is that this limited edition book will be super special and would LOVE to include all types of Pets! Do you know anyone with LIZARDS, GUINEA PIGS, TURTLES ETC? So far the most exotic pets photographed are two Pythons! Yes, you read correctly, Julie was fearless with them, which resulted in some amazing pictures, not only that, the smaller then nameless Python was named ‘JEWELS’ by the end of the shoot! Not many can claim that fame!! We are edging towards half way through photographing for this book. that way we can publish the book without a prolonged delay. The more who participate the more awesome the book will be and ultimately the more we can donate to the two great charities. We would love to have more Dogs, Cats, Rabbits or any other pets you hold close to your heart. Perhaps you have an unusual pet, a rare breed, one with a disability, an amazing coloured coat or skin, eyes that look into your soul, tricks and antics that make you laugh, or they are simply adorable to you in every way! We believe every Pet is Beautiful! We are still looking for more loved pets so please get in touch! Call us today on 9482 2006 or fill out our contact form and we will call you! 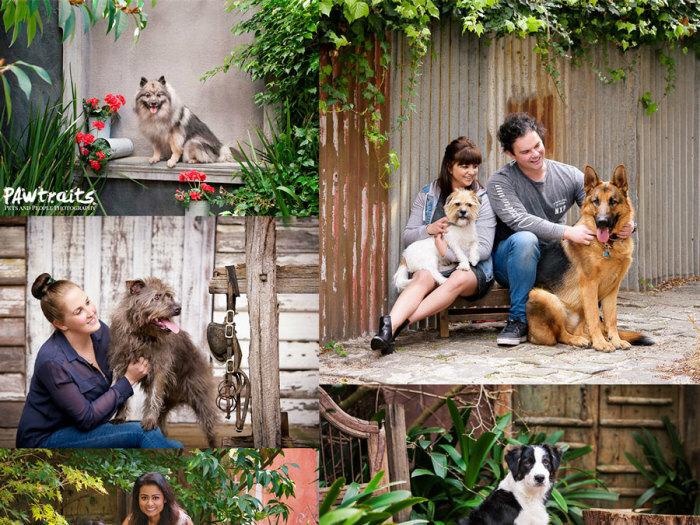 Want to see even more Pet Photography by the Lifeworks Team!